Laze around in this luxurious, super soft and comfortable Bathrobe. 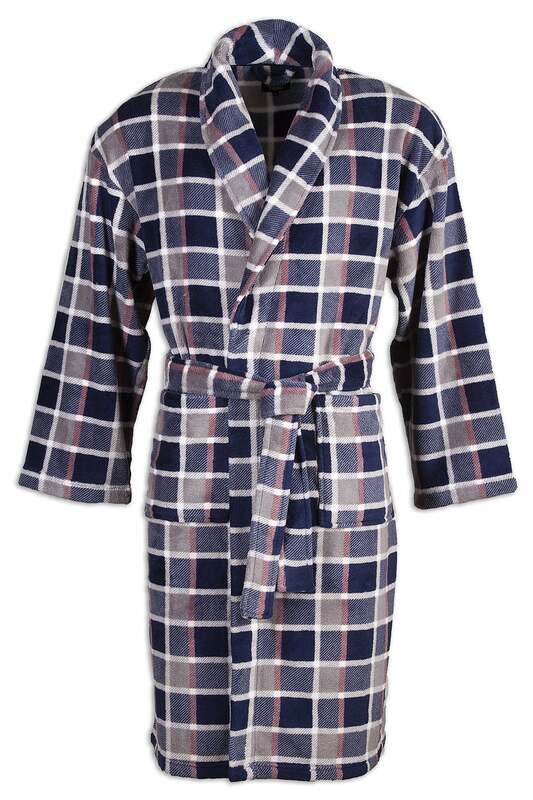 The stylish Checkered design gives the robe an extra masculine feel. Not your average bathrobe, this super soft fleece robe is lightweight, even after repeated washing, it will be as soft and supple as new. This robe has a generous fit, with a matching Colour tie fastener and pockets.